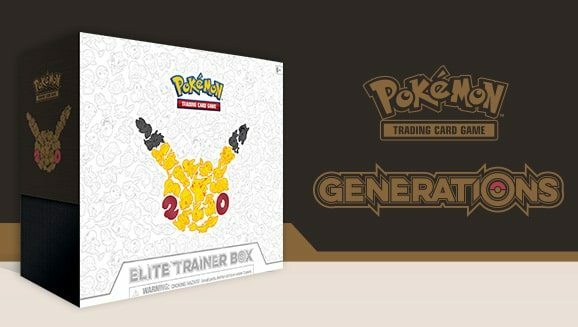 The Pokémon Company International continues to celebrate 20 years since the brand first launched in Japan, sharing plans to release the Pokémon TCG Generations Elite Trainer Box in North America. This will include an original Shaymin-EX foil promo card, 10 Pokémon TCG Generations booster packs, card sleeves, Energy, dice and condition markers, and a guide to the special expansion. Set to launch on July 1st, it will be exclusively available to purchase at PokémonCenter.com until September 1st. The Pokémon TCG Generations Elite Trainer Box will release in North America on July 1st.